About one and a half hours drive away from Seoul, South Korea, is beautiful laid-back Mount Sorak. This mountain region offers mesmerizing views and numerous hiking treks for the nature lovers, and at the foot of the mountain are various Buddhist temples from centuries of old. 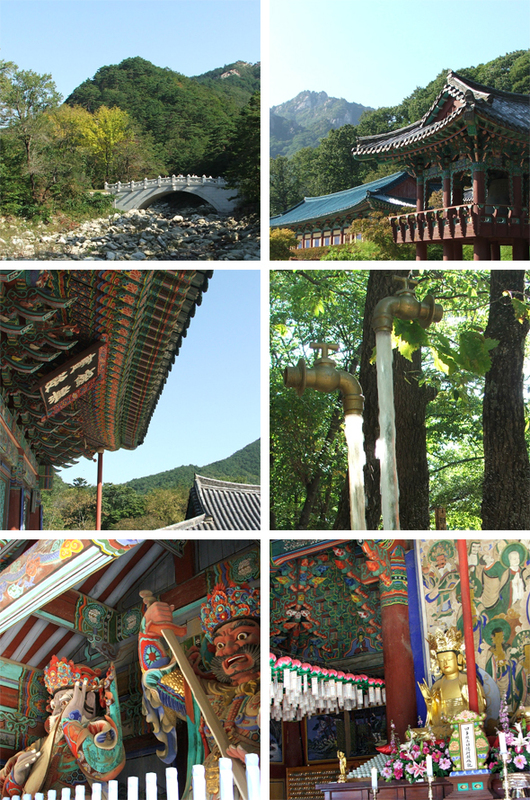 Here are some scenic snaps from the foot of the mountain, featuring lush green landscapes, colorful guardian statues (left, third row) and a magical water fountain (right, second row). Be sure to come back next week as we bring you more snaps, this time from the top of Mount Sorak itself!